Note his Mecklenburg-Schwerin Military Merit Cross, 1st Class pinned directly below his Prussian Iron Cross, 1st Class with 1939 Bar. Not often seen! 9 April 1912: Entered the Army as a Fähnrich in Großherzoglich Mecklenburgisches Jäger-Bataillon Nr.14. 18 August 1913: Company Officer in Jäger Battalion 14. 2 August 1914: In the field with Jäger Battalion 14. 20 February 1915: Company Leader in Jäger Battalion 14. 17 April 1915: Platoon Leader in Jäger Battalion 14. 2 February 1916: Ordnance Officer on the staff of Grand Duke Friedrich Franz IV of Mecklenburg-Schwerin. 4 June 1916: Company Leader in Jäger Battalion 14. 1 October 1916: Battalion Adjutant of Jäger Battalion 14. April 1918: Company Leader in Jäger Battalion 14. 1 March 1919: Platoon Leader in Reichswehr Infantry Regiment 17. 16 April 1919: Deputy Adjutant of the Wismar Garrison Command. 3 October 1919: Deputy Battalion Adjutant in Infantry Regiment 17. 1 October 1920: Company Officer in Infantry Regiment 6. 1 January 1923: Transferred to Reiter [Mounted]-Regiment 11 as the Regimental Adjutant. 20 October 1926-16 November 1926: Detached to the Combat School Course. 1 April 1928: Squadron Chief in Reiter-Regiment 11. 15 October 1935: Commander of the I. Battalion of Schützen-Regiment 3. 10 November 1938: Transferred to the staff of Kavallerie-Schützen-Regiment 9 of the 3rd Light Division. 26 August 1939: Commander of Schützen Replacement Battalion 8. 23 October 1939: Commander of Schützen-Regiment 8 of the 8th Panzer Division. 3 June 1940: Army High Command Leader Reserve. 20 June 1940: Commander of the Special Employment Infantry Replacement Regiment (Motorized) in Wehrkreis [Military District] VI. 1 June 1942: Army High Command Leader Reserve and, at the same time, detached to the Military Commander of France (General der Infanterie Karl-Heinrich von Stülpnagel). 20 July 1942-10 September 1944: Field Commandant 560, Besançon, France. 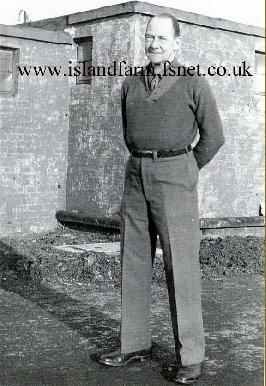 5 September 1944 - 3 November 1947: Prisoner of war in British captivity. 28 December 1944 transferred to Trent Park Camp 11 sorting camp..